Louis van Gaal has reportedly set his sights on Roma pair Miralem Pjanic and Radja Nainggolan, with the Manchester United boss prepared to pay a combined fee of £66m to make the move happen. According to the Daily Express, both players have previously attracted interest from Liverpool and are thought to be among their list of candidates to replace the departing Steven Gerrard, who joins LA Galaxy at the end of the season. However, United could take advantage of their rivals typically indecisive attitude towards transfers by swooping in with a huge double bid. As the Express explains, Roma are under pressure from Financial Fair Play regulations and are now openly looking to sell their prize assets. 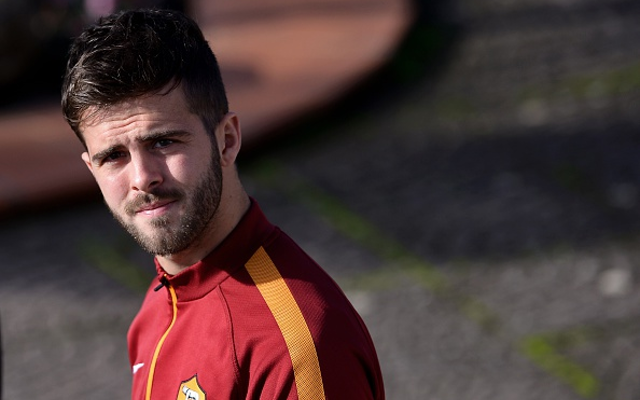 Pjanic, 25, joined Roma from Lyon in 2011. He has since made 139 appearances, scoring 18 goals. He is renowned as one of the best playmakers in world football and could be the missing link that United have been searching for to make their midfield tick. Nainggolan, 27, has impressed since moving from Cagliari last year, making 61 appearances in all competitions. A Belgian international, the midfield hard-man is more in the mould of a Nigel de Jong, someone who was linked heavily with United in 2014 (via The Telegraph).